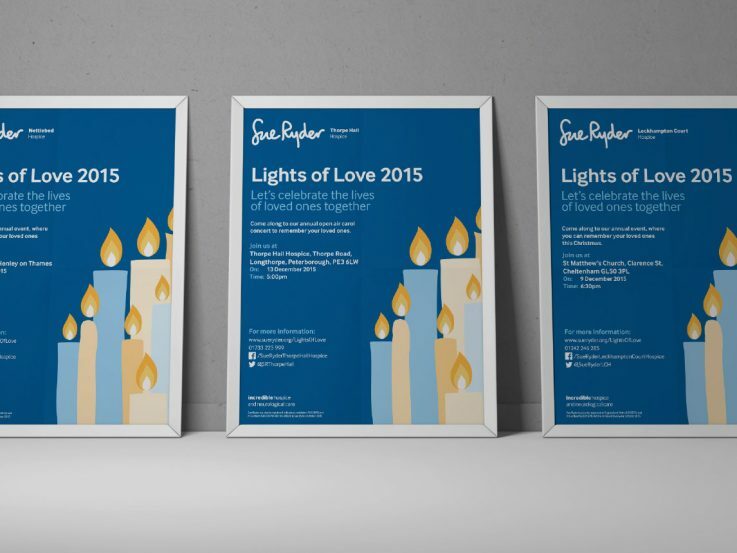 The Sue Ryder Lights of Love Christmas services are a wonderfully powerful and positive way to celebrate the life of a loved one. 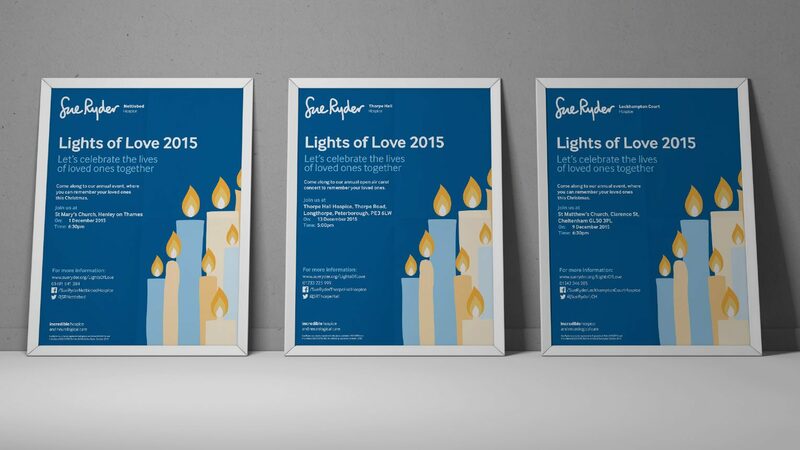 We were asked to create the look and feel for the overall campaign, as well as design and layout all the event deliverables including posters, dedication candles, banners, order of service, bus ads and digital assets for all seven hospices. 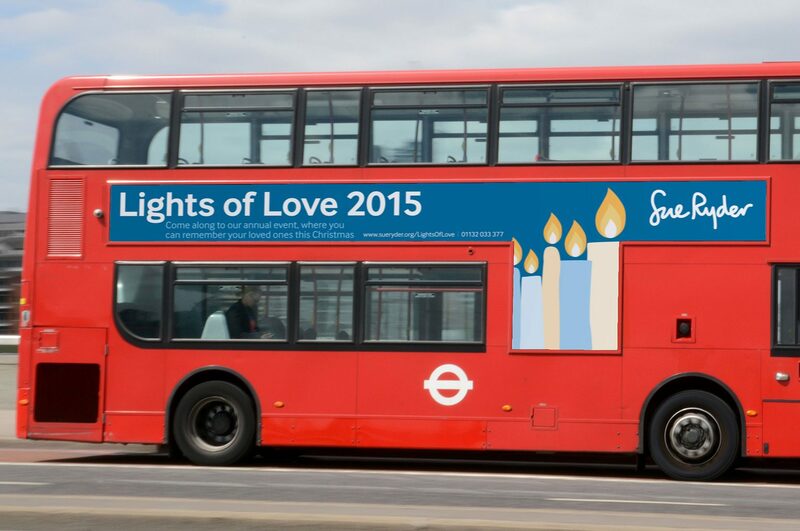 The campaign, although held at Christmas, is about remembering a loved one so we wanted the creative execution to focus on the lights in the campaign title and not on Christmas – although there is an obvious overlap. 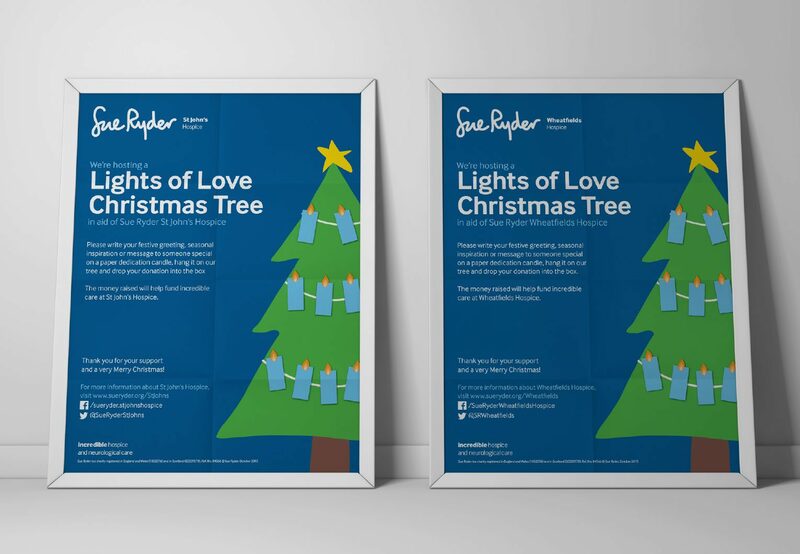 Our initial scamp style was exactly what our client team were looking for and it worked well within the Sue Ryder brand. Sounds pretty straightforward doesn’t it? But we were also asked to write and design a DM pack promoting the event which also needed to double up as a Christmas cash ask. Not so straightforward. We wanted to be sensitive to the needs of the audience yet be clear about the key message we wanted them to act upon. We suggested segmenting the packs according to those most likely to attend an event and those least likely to go. The messaging would then flex for each audience group. 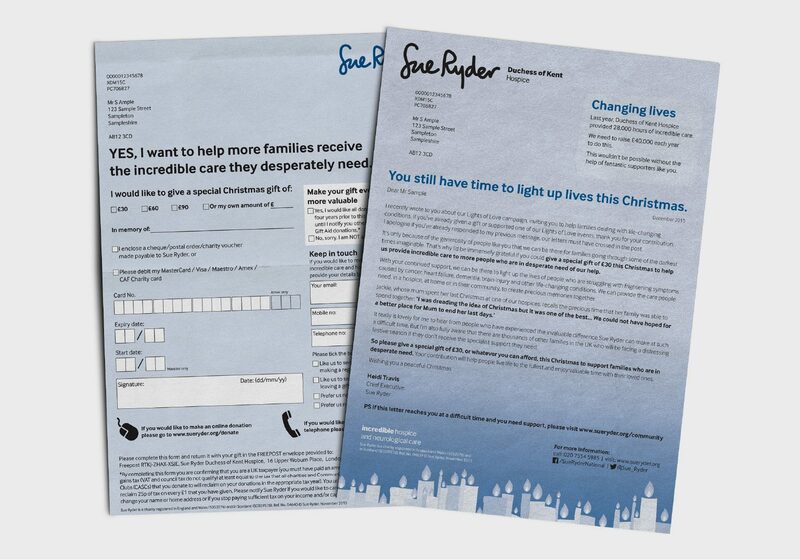 We also suggested a follow up mailer that would contain a stronger cash ask which went out in early December. A complex project but great teamwork on both sides won through.